The subject of baptism is always topical. What does baptism mean? How is it to be administered? 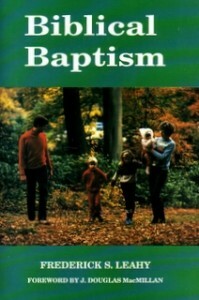 What authority is there in Scripture for the practise of infant baptism? The purpose of this book is to consider these and other similar questions in the light of Scripture.